Archive for the ‘Career Advice’ Category. The entire career of an engineer is based on his/her technical skills. If an engineer continues to upgrade their skills their career will advance if they stay stagnant skill wise so will their career. One of the best ways to develop technical skills is to acquire accredited or widely acknowledged certifications. Certifications ar a testament to employers that you are working towards developing upgrading your skills while at the same time make you eligible for a lot of jobs in your field or related fields. Below we discuss some beginning level of IT ( Information Technology) certifications that’s going to help you set your foot in the door/get a good beginning to your IT career . CCNA Certification : CCNA or Cisco Certified Network Associate certification that acknowledges your ability to install, operate and configure enterprise level switchers and routers, detect and repair common network problems . One of the main benefits of CCNA certification is that you have further options of specializing in either security, voice or wireless networking. Armed with this certification you can become eligible for jobs like network engineer, network and systems administrator. Starting salary for freshers with CCNA varies from 2.5-3.5 lakhs per annum. With enough experience and seniority one can earn upto 22 lakh per annum with advanced CISCO certifications. Microsoft Certifications : There is also the much famed MCSE ( Microsoft Certified Systems Engineer) and MCSA ( Microsoft Certified Systems Administrator) which can open a lot of doors for you as a fresher. The MCSE certification validates your capacity to build innovative solutions across several diverse technologies . You can specialize in server infrastructure, Desktop infrastructure, enterprise devices, business intelligence, data platform, SharePoint etc. System Administrators with Microsoft Certification can earn upto 3.5 lakhs per annum. RedHat Certifications : If you want to make a career in networking such as network engineer and system administrator, then a RedHat certification can be a Godsend. As RedHat technology is intimately related with Linux, this certification provides you with a valuable asset that can become a launchpad for several entry level IT positions. 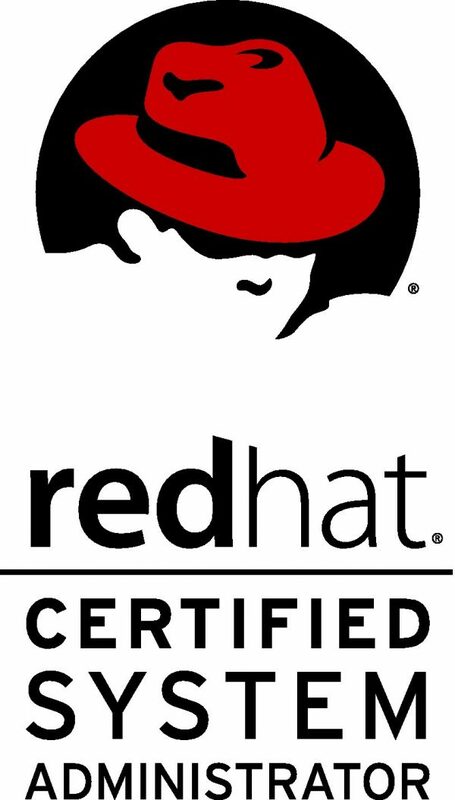 Being RedHat certified has certain advantages like you will be able to efficiently handle files, directories, documentation, configure different types of local storage , as well as deploy, configure and maintain systems like core services, software installation and updates etc. RedHat certified engineers ( according to PayScale) can earn 3.5 lakhs as starting salary per annum. Oracle Certification ; If you have a knack with databases and aim on becoming a database administrator then an Oracle certification can create wonders for your career. A fresher with Oracle Database Administration certificate will be able to command 5 lakhs per annum as a fresher! If you are looking for an affordable computer engineering course which offers ample opportunities for such internationally acclaimed certifications such as RedHat, Microsoft, Oracle etc then you can consider Brainware University and Brainware Engineering College of West Bengal which offers a world class Computer Engineering Btech as well as BSC course in Computer Science that offers several such lucrative certifications. 5 Reasons Why Mechanical Engineering Totally Rocks As a Major! Feel curious about what makes machines tick, what makes cars zoom etc.? Then Mechanical engineering might just be the course for you! Known as one of the oldest and most versatile branch of engineering Mechanical Engineering is a unique discipline that comprises of various subjects such as mechanics, thermodynamics, material science, electricity etc. Mechanical Engineers use tools such as computer aided design ( CAD), and product life cycle management to design, repair and analyses machinery, industrial equipment, transport systems, robotics medical equipment designing etc. So if you are someone who is curious about what makes various machines function then you should totally go for a BTech in Mechanical Engineering. Read on to find below what makes Mech Engineering a rocking major! Great Job Prospects: According to IBEF (Indian Brand Equity Foundation) the automobile industry ( one of the major employers of Mech engineers) accounts for almost 7.1% of the GDP ( Gross Domestic Product) . The IBEF predicts that the automobile industry is estimated to grow at around 10-15% to reach US $ 16.5 Billion by 2021. So it is inevitable that the demand for competent mechanical engineers will be high. After your graduation in Mechanical Engineering you can look forward to work in PSUs like DRDO, GAIL India, ONGC Ltd, BHEL, NALCO etc. Basically every industry that involves usage of mechanical equipment ranging from aircraft to mining equipment and household gadgets will need a mechanical engineer to design and repair the machines. Even companies that are not known for mechanical devices like beauty and health product company Proctor and Gamble hire mechanical engineers for packaging and product designing purposes. Be at the forefront of technological future: Mechanical engineering being one of the oldest and most inclusive branches of engineering can often be found in the list of engineering disciplines contributing to technological revolution in numerous industries such as robotics, healthcare, construction, transport etc. Ability to Be Creative; Mechanical Engineering is not just science but an art. With the help of thermodynamics mechanical engineers knows the secret of how every machine from the flying helicopter to the air conditioner at home functions and can create, design and repair various mechanical equipment’s effectively in no time. Versatile Job Prospects: A degree in mechanical engineering can prepare you for jobs in numerous industries including aerospace industry, automotive sector, chemical industry, construction industry, defense industry, electronics industry, FMCG industry etc. In the aerospace industry, mechanical engineers are hired to research, design, maintain and operate aircraft. In the automotive sector, Mech engineers are recruited to design and manufacture motor vehicles. In the chemical mechanical engineers are often needed by plants and oil companies to develop new process technologies. In the construction industry mechanical engineers are required to design ventilation systems of houses and buildings. In the electronic and defense industry, mechanical engineers are needed to design and maintain machine parts for the military and other sectors like medicine and automotive. In the FMCG industry many household cleaning and maintenance equipment’s and food processing equipment’s are design and maintained by mechanical engineers. Apart from this mechanical engineers can also look forward to be hired by the railway sector to construct, design, maintain rail system components like tracks and trains as well as train control systems. After you graduate you can choose to specialize professionally in manufacturing (Production and Research and Development), designing, piping, automobile etc. That’s a lot of job opportunities to look forward to! Generous Salary Prospects: According to websites such as PayScale,com, fresher Mechanical Engineering graduates start with about a 3.35 lakhs per annum. With enough industry experience and skills such as C++, ANSYS, ANSYS Simulation Software, PMP or Project Management, Mech engineers can look forward to earning as high as 9-12 lakhs per annum! If you are looking for a top notch college in West Bengal that offers a high quality Mechanical Engineering course then you can consider Brainware Engineering College. Associated with WBUT (formerly MAKAUT) Brainware Engineering College operates from Barasat and offers several top rated engineering courses at affordable rates. Unique features of the Brainware engineering courses include, opportunities to avail internationally acclaimed certifications, and a highly developed pre placement team that meticulously works to help graduates develop formidable soft skills so that they become more employable. ECE or Electronics and Communication is one of the best post higher secondary subjects for graduation . We are living in an increasingly digitized world. In an IT or Information Technology dominated industry, where technology has become the mainstay for the majority of the modern businesses, the need for competent engineering professionals is acute. Since technology runs on electricity and like every aspect of modern life, present day businesses also need stable electronic system to function daily – the need for efficient electrical and electronic engineers is here to stay. 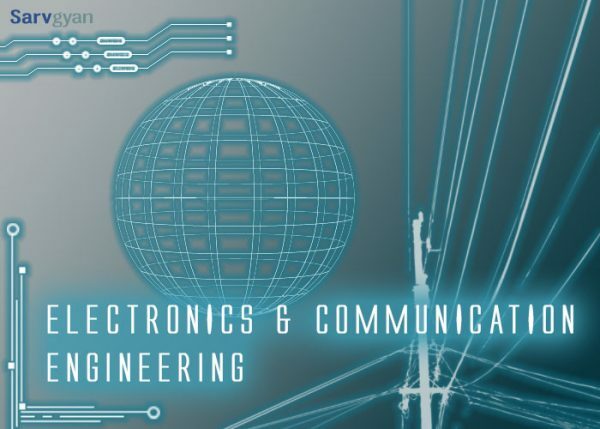 Electronics and Communication Engineering constitute of one of the most lucrative subjects in engineering field after Computer Science/Engineering. This is because ECE is a versatile discipline and enables you to work in a diverse range of jobs in various sectors. The duties of an ECE graduates are wide and diverse range of duties like facilitation of transmission of information across various channels like optical fiber, radio link, designing equipment such as routers, switchers, fiber optics etc, setting up networks and equipment, maintenance of electronic systems/gears etc. Thus they are often in huge demand in electronics and software companies. Versatility : The nature of ECE ; One of the main advantages of ECE graduates that they are equally comfortable in software and hardware roles. Moreover once you have mastered electronics then you are able to work in a diverse range of sectors. For example if you involve electronics in medical – you can venture into biomedical sector, involve electronics with computer then you can delve into computer architecture, electronics with industrial automatons results in robotics, electronics with mechanical- mechatronics etc. When you combine electronics and communication with computer and IT you get IOT (Internet of Things) , cellphones, home automation system etc. Opportunity to work with ISRO – The Indian Space Research Organization recruits mainly fresh ECE graduates as trainees and associates . If you want a university who provides a first class BTech course in Electronics & Communication Engineering then you can consider the Btech in Electronics & Communication Engineering course offered by Brainware. Unique features of this course include opportunities to obtain international certifications, hands on practical training via state of the art labs and a pre placement team that trains the students in soft skills so that they become perfect professionals with optimum technical and communication skills. BCA or Bachelors in Computer Application is a great option for those who want to work in the IT industry in a core role, yet cannot or does not want to pursue a BTech for some reason can go the BCA route. Let us look at just a few reasons at why BCA as a course simply rocks ! It Does Not Require Science at +2 Level : Unlike the Btech which requires Science PCM, BCA does not require science in +2/12th level. So even if you are a Commerce graduate and dreaming to study about IT and other engineering related subjects, you can take up BCA after +12. Less Workload : Unlike engineering or BTech, BSc mostly comprises of core technology subjects. You need not become overburdened with several electives Physics, Chemistry etc. Shorter Span : BCA unlike BTech is only for 3 years. So you can quickly complete the course and enter the workforce early on. Same Knowledge as Btech : BCA consists of many similar syllabus to BTech in Computer Science like many programming languages like C++ , Java, PHP, Artificial Intelligence etc. There are also many theory subjects like computer networks, database etc which will strengthen your core knowledge. Easier Coursework : Unlike BTech BCA involves less amount of mathematics and more theory. So if you like theoretical learning this will be the course for you. Lucrative Job Opportunities : BCA basically provides you the same job opportunities like Btech Computer Engineering/Sciences. You can avail of job opportunities like IT Analyst, Software Test/Developer, App developer, etc. If you are searching for a high quality BCA program in West Bengal then you can opt for the BCA course offered by Brainware University . Unique features of this course include lucrative certifications from Microsoft, Red Hat and Oracle, hands on training in database administration, Java SE 7 etc and there’s exhaustive pre placement training where graduates are trained in several essential soft skills so that they can crack placement interviews with ease. BSc or a Bachelor in Science in STEM subjects ( Statistics, Tech, Engineering, Mathematics) is a popular post secondary/hons/major subject for those who had Science in class 12th. In general, students who are more interested in staying at academic sector choose the BSc route over BTech as the former is a more academics/theory oriented and the latter is more technical course. Bsc is a 3 year undergraduate course, unlike BTech which is a 4 year course. Generally despite being similar in many aspects, the BTech and BSc courses have some fundamental differences. First of all, Bsc is more theoretical, though it covers topics such as computer application, hardware, it generally won’t teach you coding – something which you need good knowledge about if you are eyeing the IT industry. Whereas in BTech covers all aspects of computer science but along with this, you will also be given training in algorithms, coding and several programming languages. Career Opportunities : A CS or Computer Science degree basically enables you to work in the IT industry . The IT or Information Technology is one of the major sectors of India and is also one of the biggest employers. So people with degrees in Computer Science are eligible for a lot of lucrative jobs for the IT and allied industry in various roles such as networking, coding, hacking etc. We will discuss some of the career opportunities for BSc in CS degree holders. Software Development : One of the main career development course of CS people is software development. CS graduates are often hired by mass recruiters, to develop software. Popularity of a software depends on how user friendly it is – how easily the viewer can comprehend the dynamics of the software. In order to get a job in software development you must have command on several programming languages such as Java, C, C+, Python, Perl etc. Software Testing : Software testers basically work towards improving the overall quality of software apps. To be a good software tester you need to have in depth knowledge about the entire life cycle of a software product from inception to coding and designing. You also need to gain knowledge over tools like QTP, Loadrunner etc. Moreover some firms will also prefer that their software testers be certified in several certifications like QAI, ISQTB etc. Information Security Professional : According to current reports this sector is slated to grow by 120 billion by 2018. So a career in information security can be very rewarding to CS professionals. In order to be an information security professional you need to have certifications like Certified ethical Hacking, CompTIA Security etc. You can also go in for certifications like Certified Information Systems Security Professional to boost your resume. Systems Designer and Analyst : As the name suggests, systems designers are basically concerned with designing and creating a safe network system. Systems analyst on other hand find out the faults in the current network system and recommend/arrange for appropriate software. Networking Engineer : This basically involves identifying and curing troubleshooting problems of computers. ISRO Internship : This is a particularly lucrative prospect for BSc or Bachelor in Science Holders. The ISRO stands for ( Indian space Research Organization) . In order to get you have to maintain a certain GPA . Also check their website for further notifications. DRDO – This stands for Defence Research and Development Organization. This organization designs, tests and assesses various softwares, devices, subsystems used for defence of nation. Every year they recruit scientists from B to H level at different pay scales. So as you can see, BSc in Computer Science is a lucrative field that has good career prospects both in government as well as private sector. So if you are looking for an affordable BSc in Computer Science course in West Bengal, Brainware University, Kolkata can be a great option for you. Located in Barasat, Brainware University currently offers BSc and Msc (Hons) in Computer Science. Special features of this course includes international certifications in Microsoft, Redhat and Oracle, pre placement training – providing much needed soft skills/communication skills for engineers as well as practical workshops on all aspects of your discipline such as database administration, OCP/OCA, Java SE 7 etc. What After BCA? Find Out!! Nowadays, a bachelor degree is just the first step towards a professional career. 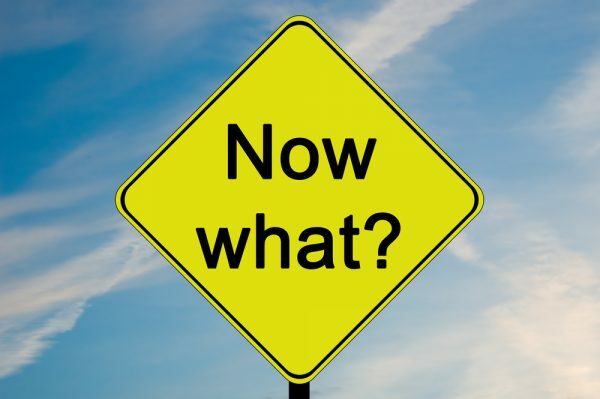 Though having a degree makes you eligible for a great many jobs – especially those which is connected to industry demands a certain degree or an academic qualification, just a degree by itself doesnt make one more employable. One has to pad up one’s degree by an allied Master’s degree, or relevant diplomas and certificates. This is because here in India, the society is churning out thousands of graduate – most of which look identical on pen and paper. To most employers one CV looks no different from the other and you have to do something to distinguish yourself. Software Testing : BCA holders can also opt for certificates such as International Software Testing Qualifications Board. Data Scientist : This is one of the best career option for those with STEM related majors. If you have an aptitude for Data. a knack for spotting details, then Data Scientist can be an amazing career option for you. Oft described as one of the hotshot jobs of the 20th century, data scientists analyse huge amounts of data to gather business intelligence in order to get their firms a competitive edge. In order to qualify as a data scientist, you need to gather a deep knowledge about statistics, predictive modelling, algorithms, Python, Text Mining etc. MCA or Masters in Computer Applications : This is a natural progression from BCA. A masters in the same field will enable you to gain more knowledge and also give you an opportunity to specialize in a particular field you want to. If you are a +2 graduate wanting an affordable BCA course which has great faculty and placements or fresh BCA graduate , looking forward to an MCA or an MBA course which provides good placements then Brainware University, Kolkata can be a good option. Operating from a 9 acre campus, in Barasat, Brainware University provides 16 courses bachelors and masters courses in engineering, Computer Science, Managerial, Humanities and Pharmaceutical Studies. This includes BCA, MCA as well as MBA courses. Our BCA highlights include international certification from Microsoft, Oracle and Red Hat. Brainware believes in making students placement ready from day one. So besides training students in core courses through state of art labs, illustrious faculty hailing from the IIT, IIMs Jadavpur etc, we also strive to make our graduates highly employable through an extensive pre placement training which polishes the soft skills and communication abilities of our graduates. 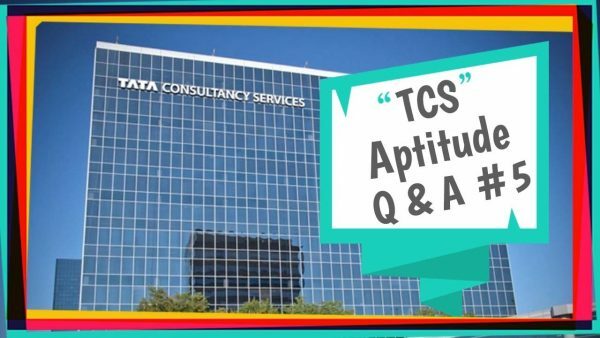 If you are an engineering graduate, chances are that you are vying for a job at TCS ( Tata Consultancy Services) TCS one of the most renowned management consulting firm, associated with Tata group is an obvious ‘’dream company’’. However cracking the aptitude test is not a child’s play. As is the case for competitive jobs you need to have secured an aggregate of 65% minimum throughout 10th, 12th and graduation . Study the test pattern : Before embarking on any test – be it semester exams or placement tests, like TCS, studying the pattern of the test is always advisable. It helps in predicting what type of questions you are likely to get asked – and such knowledge will always act as a booster. The TCS exam duration is 90 minutes . The question paper is divided into 4 section with individual cutoffs. The first is writing/English aptitude,where you have to type an email, following the clues given in a 70 word sentence . The 2nd is Quantitative aptitude These questions will include topics like Numbers System, Ration Proportion, Equation, Profit & Loss, Mensuration, Ages, Permutation and Combination etc The 3rd section tests your programming and coding proficiency. Interview Round : After clearing the aptitude tests, comes the interview round. Make sure that you have a sound knowledge about the core subjects of your major/discipline. If you have a domain or specialization, make sure to read up about the latest developments in that field as much as possible. If possible try to be as good as possible with at least one programming language such as C, DMS or Java, as knowledge of programming is always an asset for an engineer. Preparation : For technical section and HR interview, make sure you be up to date with the syllabus of your Bachelor’s, especially the core subjects. For clearing the quantitative section – going through 12th level maths books such as the ones produced by NCERT will be enough. You can also refer to CAT ( Common Admission Test) preparation books such as Arun Sharma and RS Aggarwal’s books. In any profession, relevant certifications count for a lot. The chief value of certification is that they demonstrate a specific set of skills that are relevant or required for certain jobs. Relevant certifications helps one attain a high level of expertise and can therefore be a great resume booster. If you have plans on embarking on a career of senior system administration then obtaining a RedHat Certification will definitely give you a career boost. Below we list some of the benefits of obtaining this certification. If you want to obtain a career in hardware and networking , system securities then a RedHat certification is a boost, as it is also known as ‘’Crown Jewel of Linux Certifications’’. Greater Efficiency : A RedHat certification definitely boosts your levels of efficiency, as this certification gives you a good idea of how to handle registries and records and also how to arrange and order documentations effectively. 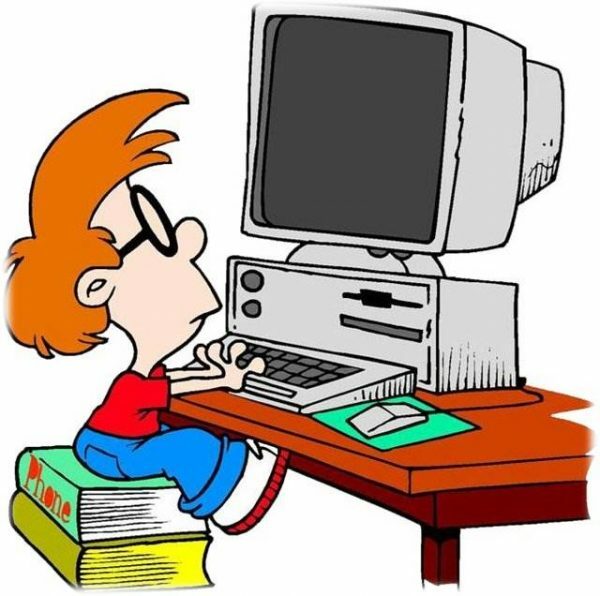 Knowledge of Computer Systems : This certification enables you to operate different types of computer systems, including how to boot different computer systems at different levels, start and stop virtual machines and controlling processes. How To File Effectively : The RedHat course enables you to create and configure file systems, such as permission, encryption, access control lists etc. Basics of System Maintenance : This includes courses on how to deploy, configure and maintain systems such as installation, update and core services. Become Adept at Systems Security : The RedHat course teaches you the basics of security such as Selinux configuration and basic firewall. Brainware offers a unique Post Graduate Diploma in Networking Technologies which is uniquely constructed keeping in mind the RHCE ( Red Hat Certified Engineer) curriculum. If you are an engineer, with a hidden creative/artist inside you, then specializing in the design field of mechanical engineering can be a great choice! Below we share a few tips on how to secure a career in designing segment of mech engineering ! Develope Basics in Design Software : From your second year of BTech, acquaint yourself with design softwares like CAD ( Computer Aided Design), HVAC design software ( a software used to design indoor software) etc. If possible try to specialize in at least 2 softwares, as firms usually wants specializations. 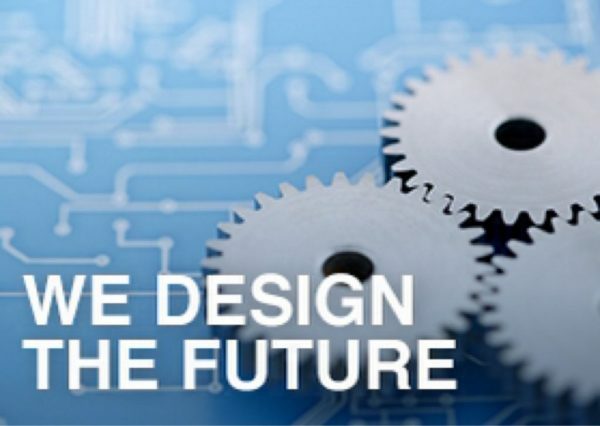 Hone ‘’Safety Designing’’ Skills : The basic purpose of a mechanical designer is to design machines which can be strong, efficient and resilient. So pay special attention on first year relevant modules such as strength of materials which will introduce you to concepts of stress, strains etc. Try to learn concepts of stress through bending to heart. In your 3rd year you will be introduced to machine designing and when you come across factors of safety unit, this prior knowledge will help you. Learn concepts like designing for fatigue load, designing common machines like crane hooks, springs, bearings etc sincerely.